Eureka! It is science fair time! Participating in a science fair is an exciting opportunity to flex your scientific muscles, but that’s not the only skill you will need. A good science fair project also requires writing a clear scientific report. The purpose of a science fair project report is to carefully describe your results and the scientific process you used so that other people can understand your project and maybe even reproduce it themselves. For this reason, scientists and science students use a common format for science reports that features the components of the scientific method. This includes selecting a topic or question you want to investigate, making a hypothesis or best guess at what will happen during the experiment, writing a list of materials and the steps you used during the experiment, describing the data you compiled and explaining your results. Of course, you will also want to use cardboard or poster board to create a display for your project. In most cases, vibrant colors, dramatic images and clear lettering will help your display stand out from the crowd. 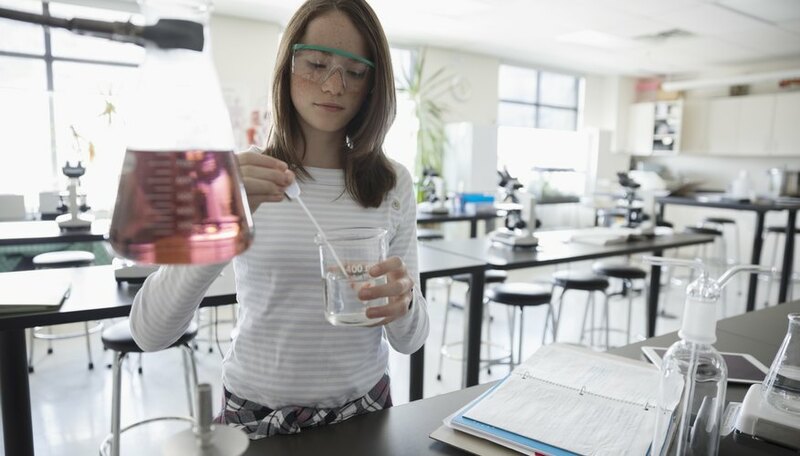 When it comes to writing up the results of your science fair project, the first step is to summarize what you discovered during your experiment. Many scientists and science students rely on visual representations of the data to help show the reader precisely how the experiment turned out. For example, you might use a table or graph to show your results. This will make your science fair project report look professional and also make it easy to read. Next, you should tell the reader if the results of your experiment supported your hypothesis or not. It’s important to remember that it is not necessarily better for your original hypothesis to match your results, so you should never alter your data to make them match. Sometimes results that don’t support the hypothesis are actually better science and open the door for further investigation. You will want to summarize your experimental procedure and comment on whether or not your procedure was effective for answering your scientific question. A crucial part of any scientific investigation is turning an analyst’s eye to the experiment itself. This component of your science fair project report will demonstrate to your audience that you understand how to evaluate both your data and your experiment. Finally, your science fair project report should address potential changes that might make your experiment more effective and identify areas for further study. One common suggested change is to increase the sample size since a larger sample is usually better for science experiments. When you list areas for future investigation, try to remember any questions or ideas that came up while you were conducting your experiment or while you were analyzing your data. While writing up the results of your science fair project can seem challenging, it is also an opportunity to make your project stand out. A well-written report highlights all of your hard work and can make the difference between an average science fair project and a truly stellar one. Washington.edu: "Succesful Science Fair Projects"
Mayer, Melissa. "How to Write Results for a Science Fair Project." Sciencing, https://sciencing.com/how-to-write-results-for-a-science-fair-project-12744508.html. 27 June 2018.